Welcome to the family history pages for the Lagana and associated families of Perth. Here are all the descendants of Concetta Maria Lagana, who married Rosario Larosa. Their daughter Maria Teresa Larosa also married a Lagana, Giovanni Battista Lagana. See more about the Lagana Families. 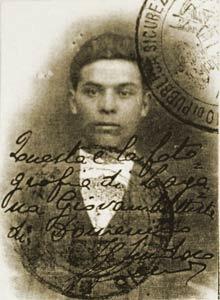 The Lagana family line came from Italy: Giovanni Battista Lagana came to Western Australia in 1923, then returned to Italy to marry Maria Teresa La Rosa, returning to Australia in the 1930s (more Lagana History). Concetta and some of her children also came to Western Australia at a later time, while others stayed in Italy. We have some family photos, which we hope to expand soon with some more on our ancestors. Search the family tree, and let us know if you have any additions or corrections. If so, please contact us.